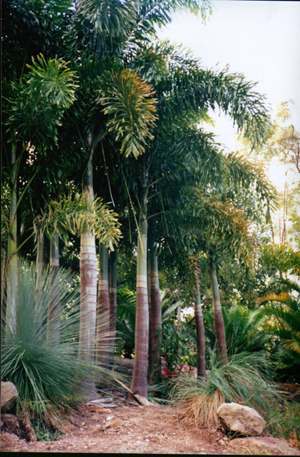 Description: - Foxtail Palm. The leaflets are arranged right around the petiole to give a plumose look thus the fox's tail. Very easy to grow and quite fast loves fertilizer in warmer months and a good thick mulch, temperatures -2.C to 40.C. Growing Climate: - Temperatures -2.C to 40.C.